Achievements and Trophies: A Help or a Hindrance? 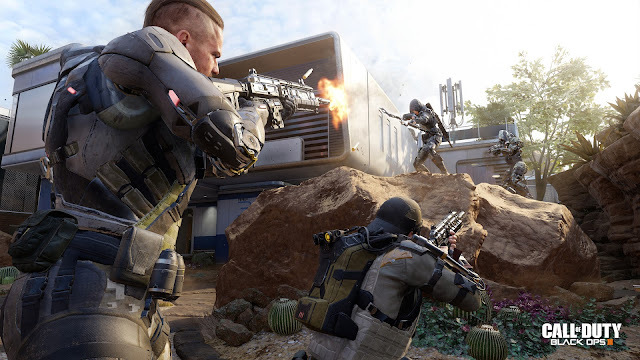 The Call of Duty Blacks Ops 3 Beta is getting ready to start. Before it does, check out the video below to get an idea of how the new movement system works. It's a little bit of Advanced Warfare and Titanfall mixed together for a faster, smoother, experience than before. The DRM Gamecast started out as a podcast comprised of three friends: Doa, Rand, and Magic (DRM). After expanding into a full website and even adding more people to the team, we decided to keep the original name and continue doing what we love. Along with the podcast, we provide reviews for Xbox One and PS4 games, gaming videos, articles, and even a few things for fans to purchase.